Tech Columnist Dan Tynan can't get his story straight about the Storm Electric Bike (Sondors eBike)! So Dan Tynan originally wrote an article about the Storm Electric Bike - The Storm eBike: An Inexpensive Answer to Gridlock? - and quickly, if you'd pardon the pun, backpedaled and posted a new article after talking to ONE direct COMPETITOR to the Storm Electric Bike (who has yet to back up their claims they made to Dan in any public venue, but viciously attacked the campaign in the comments on Indiegogo after contributing) called A $500 eBike? Not So Fast. Well Dan in the Malibu quote it is quite difficult to see where your thought ends and the quote begins, because well you didn't use quotation marks... that's sloppy journalism and at a casual glance it looks like you claimed to test it in Malibu which is 400 miles from San Francisco. Which in your original article you claimed to have operated the Storm at 20mph so cool that fact checks out.. but wait, your new source (a direct competitor) claims that 20mph isn't possible even though you witnessed it via your own operation of the bike!!! Come on Dan, how can you call yourself a journalist? You can't even keep your claims straight! You interview company A and test their product, then company B contacts you claiming company A is a liar and it just so happens company B sells a similar product for a bite more than twice as much... gee, couldn't that be profit? Did you bother to contact manufacturers and see what you could get say 10, 100, 1000 bikes of a similar specification for? No, you didn't? Of course you didn't, that would have taken you what, 5 or 10 minutes to make your article even remotely researched? Let's see here Dan you took the bike for a 'short spin outside Yahoo’s San Francisco offices', and 'A gentle tap of my thumb on the accelerator, and I was hitting the max speed of 20 mph in less than 50 yards' and ' Hydraulic disc brakes brought it to a swift stop' meaning you verified the speed over a measured distance during your operation of the bicycle you continue by noting 'The battery is removable' sounds like a review to me! aha Dan, 'introductry' seems to imply 'lasting for only a limited period of time, not permanent' just like the word 'temporary' which means that the $499 (not $500 as you claim in your Indiegogo comment) price was in fact TEMPORARY. But Ryan I said 'And both Storm and Jonathan failed to note that the $500 price was temporary, which was not revealed until this campaign went live.' yes sir you did, and your article mentioned this TEMPORARY price, meaning now you're just whining because you have egg on your face. You wrote an article, did no research then a competitor contacted you and (as far as we can tell) offered no evidence to back up their claims that the Storm bike is an impossibility and you quickly vomited out another article backpedaling on the original (and again, no evidence you verified those claims either) but you DID test the Storm even if you chose to use a word other than TEST. 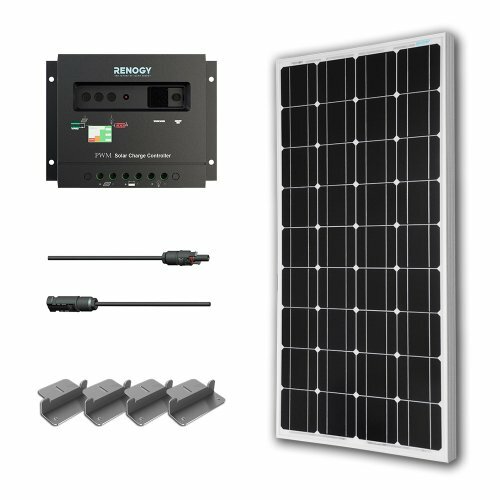 I've seen a lot of people asking if there will be a solar-powered charging option for their Storm Electric BIke and it makes me realize the general population doesn't realize what a PV panel is actually capable of. Basically under ideal conditions you will get 1,000 watts per square meter (and really the commercially available panels aren't this efficient at all, they perform worse) of solar panel at the equator, at noon, with zero cloud cover. That means for the 350 watt hour battery to charge in an hour you'll need 542.501 square inches of PV panel to charge it in 1 hour's time... so you aren't going to just fold a small PV panel up in your backpack and set it out at your destination to charge the bike. Fore more information on solar power, see the bottom of this post for some good educational links. 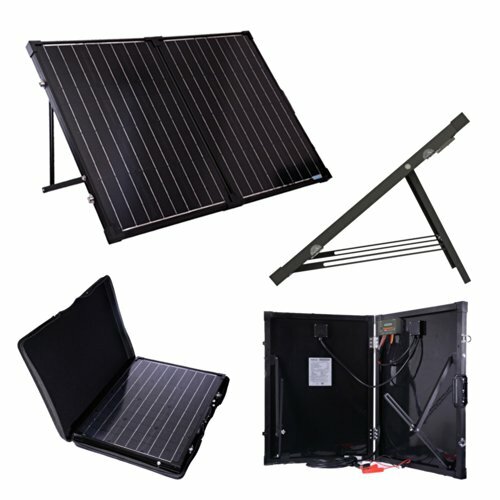 HOWEVER if you are going camping or in the event of an extended power outage (keep in mind, solar panels only work if the sun is shining, storms can create cloud cover for days or weeks meaning no sun) want a way to charge the battery in a timely fashion to give you the ability to greatly increase your area of operation during the power outage, you CAN get a smaller panel which will charge the battery over several hours. For the above you'd still need an inventer or charge controller and some cables to use it. Look at something like wind turbines (I like vertical turbines the best), if you want to read about wind-power I recommend two books Wind Energy Basics: A Guide to Home and Community Scale Wind-Energy Systems and Build Your Own Small Wind Power System. Things to keep in mind here, wind turbines will need a minimum steady wind to generate electricity, placement is crucial. Wind turbines also do make a bit of noise, in the form of a whirring or droning sound which can be quite annoying for larger turbines at speed but easy to ignore for smaller turbines at speed. Yup, imagine a scenario like camping in an area with a lot of tree cover or power is out at home and no sun shining from a storm but you don't want to take your car out, maybe tress are down or debris is in the streets... guess what, you can use your AUTOMOBILE to charge that bike. How? 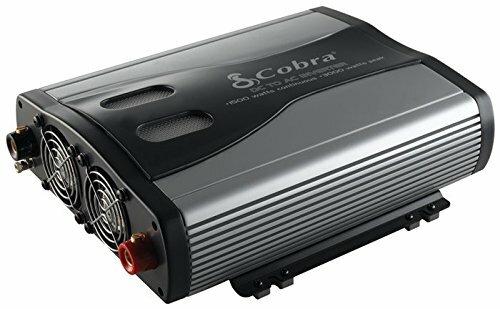 The easiest way would be to buy an inverter to hook up to your car like the Cobra CPI 1575 1500 Watt 12 Volt DC to 120 Volt AC Power Inverter (authors note, I own this model and for it's price it's decent). Backwoods Home also has this Solar Primer from 2001 which is decent enough for a quick education. The Florida Solar Energy Center also has a good resource called Solar Electricty Basics. For you DIY/hands-on types that want to learn about renewable energy by actually building something cheap check out this Instructable '9$ Solar, Wind and Hydro turbine (on your faucet) powered USB'. Earlier this week an Indiegogo campaign came to my attention via one of their emails, Storm Electric Bike. This thing looks awesome, it promises to be an affordable (but simple) electric bike. I snagged one via the campaign for 499$ plus shipping, other electric bike options from current manufacturers and distributors start north of 1000$. What makes this one different you ask? Storm doesn't have a bunch of bells and whistles. It does NOT have regenerative braking which requires less parts so less to build, it is fixed gear (while some current electric bikes are 10-speeds) so again less parts-less to build, all of the parts used to make this bike are off the shelf parts meaning no need to pay for custom tooling and molds, again significant cost savings. Sure at 499$ via the campaign Storm Sondors is unlikely to make much per bike, however this is just the crowd-funding price. Obviously when these sell retail they'll cost more, and that is where the profit comes in. Via the campaign comments a competitor is constantly fear mongering claiming this bike can not be made that his costs such and such and it's impossible to make a 499$ electric bike... yet that competitor's bike is 10-speed, has regenerative braking AND FOLDS IN HALF all of which cost more, he's also already at the retail point and is likely making a considerable profit per unit. Look folks, I've looked at what it would cost ME to build a similar bike from off the shelf parts in small quantities with no contacts and no ability to order in considerable quantity. I estimate I could personally import all the parts for 30 bikes (including duties and brokerage fees) for less than 499$ each. It's doable. Also keep in mind, crowd-funding isn't the same as going to the store and buying something. Usually at best a prototype exists and the campaign creator(s) have little to no experience in manufacturing anything outside of their workshop so contributing is a risky gamble. One should NEVER expect to receive a single thing they contribute for, you are contributing to someone's dream. In this case however, Storm Sondors has decades of experience in prototyping and mass manufacturing (McDonald's happy meal toys) and likely has dozens or hundreds of contacts in various manufacturing, distribution, logistics, warehousing etc areas as well as an intimate understanding of reasonable timelines and challenges that will likely be faced to manufacture his bikes. I gave 499$ to this campaign and I do not regret it, I feel confident in my decision to contribute based on my above comments and the fact that several tech journalists have been allowed to use the prototype unit and their reputations give them ZERO reason to lie about their experiences using this bike from a currently unknown manufacturer. Their are individuals crawling out of the woodwork to constantly slam this campaign, claiming it's a scam, claiming I'm an insider/work for Storm or Agency 2.0, claiming it's a giant scam and I'm part of the conspiracy to defraud people out of 3.1 million dollars and counting, etc. It's getting quite ridiculous. The individuals claiming such I deeply suspect of being direct competitors with a currently manufactured bike with similar specifications that starts around $1200. Why do I suspect this? In the early comments of the campaign a direct competitor was posting the link to his product and making the exact same claims. Now it's 'anonymous contributor' making these allegations (and claiming such to news outlets which, without verifying his complains, are reporting everything he tells them as 100% true, and that's just sloppy journalism). This bike is more than able to be made (at a profit) for the $499 price, it is now $599 and is scheduled to increase yet again. Keep in mind this price is for BACKERS of the campaign and is NOT the final retail price. Also keep in mind Storm and company will make the bulk of their profits selling accessories and upgrades after retail launch of the bike. So I'm sure you've heard about Amazon Echo... if you haven't, think Hal 9000 of the Amazon product line. She's basically like Siri or Cortana except the fact she's a standalone device. She exists as a black cylinder that contains dual downward-facing speakers that produce 360 degree omni-directional sound so wherever you are in the room you should (in-theory, let's see how well she sounds... especially with my wood panneling) hear her great. Not only is it a wifi device connected to Amazon's services it can also stream (from your smart device) via Bluetooth so you can use things like your Audible app, iTunes, Pandora etc to stream the audio to her. Echo also can be controlled via an app available on Fire OS, Android, iOS and traditional desktop browsers. It has features like alarms, music, you can create shopping lists (I'll use this a lot, instead of getting out my phone while watching TV to remind myself of something I'll just say "Alexa add to list"), query Wikipedia etc. The best part is, from my understanding her brain is largely in the cloud meaning Amazon can easily add features and improve the software. While some fear it will always be listening blah blah blah... I don't care, my phones could be doing that too, so could my iPad... in theory so could my Fire TV's remote! Right now Amazon Prime members get special pricing on her as obviously the idea is she will be something that will help you shop within the Amazon system and hey that's fine with me I watch Prime daily via my Fire TV, I'm a long long long time Audible subscriber, I do most of my shopping on Amazon etc.